Field Trip becomes a Service Call! 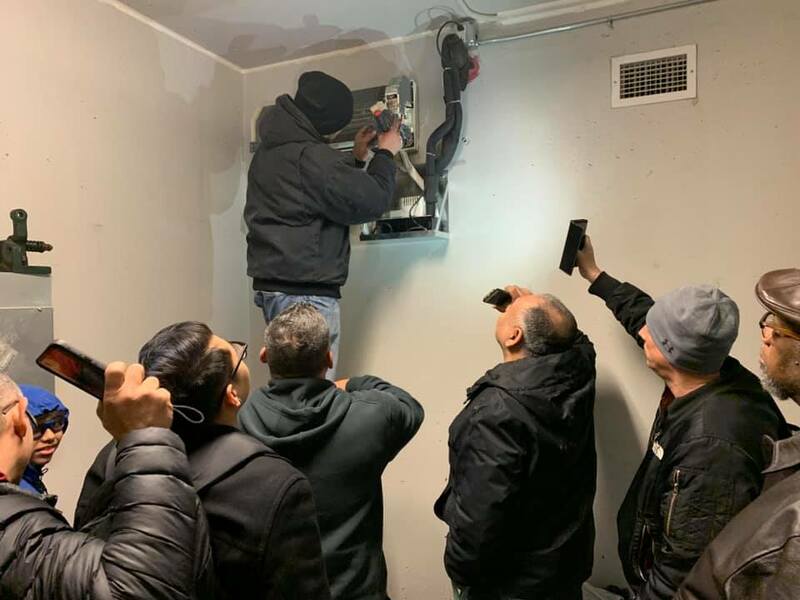 While taking students on a HVAC field trip, we discovered that a split system meant to cool the elevator control room was not working, which could endanger the buildings occupant. Thankfully, one of our instructors, Ronald Huarneck, is a controls expert, who quickly found the problem and got the unit working again. In a few hours these students learned more about split systems, troubleshooting and electrical controls wiring than they ever would have in a classroom.